Can’t say I’m surprised by this tactic. The Capitol news conference, held by the Texas Coalition for a Competitive Workforce, comes as the standardized testing that is the backbone of the state accountability system is facing considerable backlash from parents, educators and lawmakers. 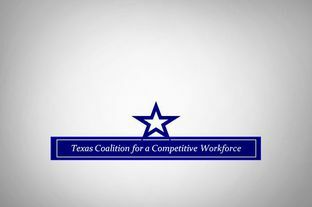 Wednesday, members of the workforce coalition — which includes groups influential in the Legislature like the Texas Association of Business, Texas Institute for Education Reform, Texas Public Policy Foundation and the Texas Business Leadership Council (formerly the Governor’s Business Council) — made clear they would not support any kind of tweaks to the system that was established by House Bill 3 in 2009. An attempt by outgoing House Public Education chairman Rob Eissler to do just that during the last legislative session failed with the opposition of the business community. To be blunt, these guys are full of it. The TPPF thinks we spend too much on education to begin with, and TAB is about as likely to support any measure that would actually increase revenue for education as Rick Perry is. Saying they’ll oppose an increase in funding for public education unless their demands are met is like Willie Sutton saying he’ll oppose the hiring of more police officers unless those pesky bank robbery laws get repealed. Dineen Majcher, an Austin lawyer whose daughter will be a sophomore at Anderson High School next fall, said she was offended by the insinuation that parents are being led around by superintendents. “We are smart enough to see what that system is and is not doing and we can perfectly understand on our own that it is a badly flawed system that needs to be fixed,” said Majcher, who listened to the news conference at the Texas Capitol. Exactly. We’ve been pushing various accountability measures for 20 years in Texas. Some have worked well, others not so much, but it’s been an ongoing experiment, with tweaks, adjustments, and changes of direction as needed. To believe that the STAAR and only the STAAR can achieve the goals these guys says they want is myopic and suggests they care more about the process than the result. Turns out, even some prominent Republicans see it that way, too. Pauken, who along with two other commissioners oversees the development of the state’s workforce, said he was surprised that the coalition claimed to speak for the business community and conservatives as it defended the existing testing system. Hammond and his buddies are speaking in their own interest, not those of schools, students, or parents. We should not take their little tantrum seriously. The complaining about STAAR is generally not coming with any solutions on how to have an accountability system that equalizes the playing field for poor children. In my opinion, STAAR is shining a very bright light on how poorly we educate economically disadvantaged children. Schools with higher income parents did much better on STAAR (look at the scale scores) than schools with economically disadvantaged kids. You should definitely take the rantings of the business community seriously. We are most definitely not graduating economically disadvantaged kids from our high schools in any great numbers who are ready for college or the work force. Folks, we have a huge problem and I recommend we quit pointing fingers at everyone who looks like the enemy. Everyone reading this blog is probably educated and has money. Your kids and everyone’s kids need a rigorous high school education. STAAR is forcing that issue. I recommend you read Mark Strama’s commentary in the Austin American Statesman for some ideas on how to tweak the STAAR system so that all of it’s intended good remains and some problematic pieces get resolved. 1. TAB and TPPF are not “the business community”, as Tom Pauken’s disagreement with them should make clear. They represent themselves and their own interests. They’re the ones I’m not taking seriously, and whom I say others should not take seriously. 2. Along the same lines, their rhetoric makes it clear they’re not seeking to tweak STAAR to make it better. They’re seeking to stifle dissent, and to threaten those who hope to restore funding to public education in the process. 3. I agree we do a lousy job of educating lower income kids. I’d love to have a rational discussion about how we can do a better job of that. Again, though, that’s not what TAB and TPPF are talking about. I agree with what you’re saying, Martha. I don’t agree that this is what TAB and TPPF were saying. That’s the point I’m trying to make.